"Do you think we&apos;ll see Holle?" said Rainhart to Philomena. They rode beside one another, slightly behind Tancred, towards the field around Traumwald. Without looking back, Tancred said, "It&apos;s better she&apos;s gone." When they had told him the previous day that Holle had disappeared, a funny expression came onto his face and he had turned away and said, "I am sorry for shouting at you before." Then he had asked to be left alone. Now, he said, "I thought Holle would come to her senses. But like the rest of us she has made her choices and will have to live with them. Let her throw her lot in with Maldwyn or Valdon or whomever she pleases. I wish her joy of them." "Valdon may have killed her the moment she appeared," said Rainhart, his tone a mixture of practicality and worry. "She is very young," said Tancred. He sighed. "You all are, to be swept up in the game of kings." "Whereas you have lived since before the lesser gods went to rest below the ground." said Rainhart. "You knew them personally, I suppose?" 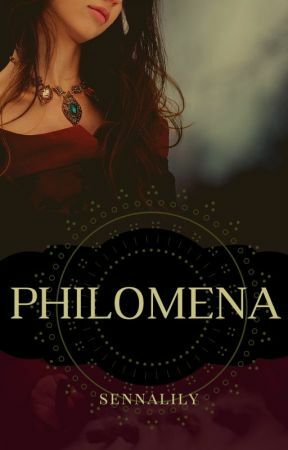 Philomena hid a smile behind her hand. Tancred ignored him. A messenger was waiting for them when they reached the field. "His majesty King Valdon of Deusetats wishes to have speech with you, Tancred Kingkiller," said the messenger. Tancred&apos;s shoulders went back. "And where is this pretend king?" "He invites you to the walls of Traumwald and undertakes to give you safe passage." "I invite him to my camp, and promise the same." "Those terms are not acceptable to his majesty." "Why?" Tancred&apos;s tone was heavy with irony. "Does he not trust my pledge of safe passage?" "I will take your message back to the king," said the messenger. A short while later, they heard shouting, and saw a scuffle on the parapet. A moment later, a figure fell, flailing towards the rocks. Philomena felt herself go cold. "Do you think that was Holle?" said Rainhart, echoing her thoughts. "It wasn&apos;t," said Tancred quietly. "It was Baron Enno. Cervin, would you send the Baron&apos;s wife, son and nephew-heir to me please?" "I will fetch them at once, your majesty," said Cervin, who had been riding behind them. Valdon&apos;s messenger returned. "His majesty King Valdon of Deusetats wishes to direct your attention to the wall once more, Tancred Kingkiller," said the messenger. "His majesty was pleased to receive a guest yesterday and thought you might wish to see her." "That is Holle," muttered Rainhart, as they all saw a woman pushed up against the ramparts. Even from this distance, her bright blonde hair was unmistakeable. 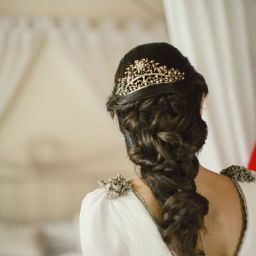 "You can tell the pretend king that Princess Holle is no concern nor business of mine." Tancred&apos;s every word was precisely enunciated. "I will not negotiate for her release. I wash my hands of her. Whatever happens to her is her just desserts." "Tancred..." said Rainhart. Tancred put up a hand to silence him. Philomena bit her lip. "And you can deliver your pretend king a message from me. He has one week to surrender himself to me. In seven days, I will throw every resource I have at the walls of Traumwald. If it takes the death of every man in my army, the firing of every cannonball in my artillery and the razing of every building in Traumwald town, I will do it without hesitation. This little rebellion has gone on long enough. It is time that Deusetats knew her rightful ruler."